After assembling the kit successfully, the screen and sound worked fine and the kids enjoyed playing with it for a few hours. However, from a certain point, the kit refused to work: the screen backlight worked, but there was no picture, neither sounds. Reading solutions to similar problems reported on the forum, I tried the “C button trick” – and it actually worked: the screen and sounds came back to life. Unfortunately, the screen started to show a few blank horizontal lines on the bottom. I tried to re-attach the screen, refine the solderings [double-checked with multimeter], but the screen keeps showing a few blank [dead?] lines on its bottom - as seen on the attached photo. 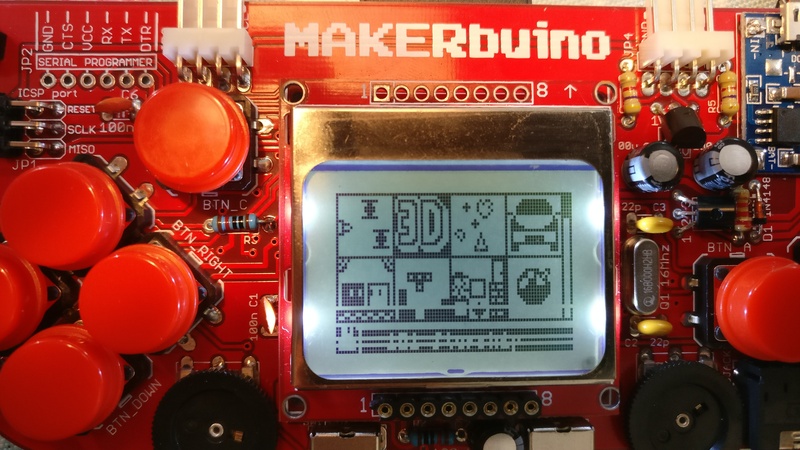 @elicn, thank you for supporting MAKERbuino and I am sorry for the problems that you’re experiencing. That looks like a pretty old version of the kit. TBH we had quite some manufacturing issues back then. Embarrassingly, I can’t find the way to send you a PM; please start a private conversation and I’ll reply to it. Thank you for supporting the project at its roots! This company was founded thanks to our first kickstarter’s huge success.